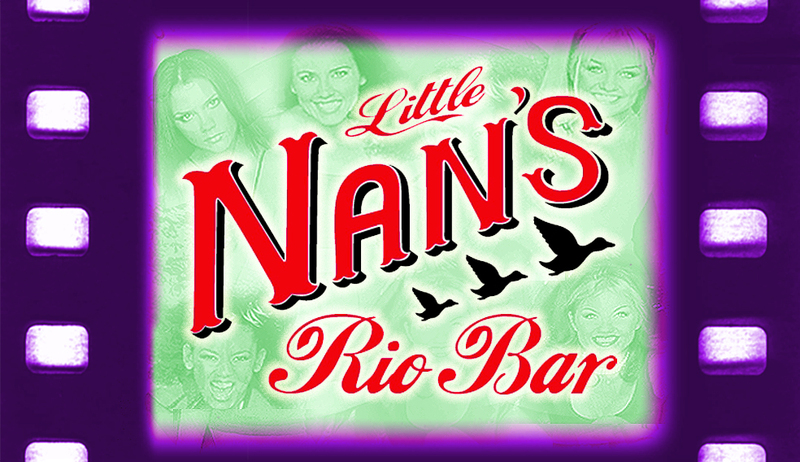 Little Nan's Bar, the fun pop-up cocktail bar, is taking over the basement of the Rio Cinema in Kingsland High Street from Weds - Sat until 14th August 2016. It's a fun club night, with cocktials served from tea pots, 90s music and themes, a photo booth with lots of props, and a dance floor. Booking isn't essential, but recommended if you want to have a celebration (to guarantee a table etc) or if you want their bottomless cocktails! "The Multi Award Winning Little Nan’s Bar is loving her 90’s pop up in Shoreditch so much that she is moving all the props and decor to Dalston and filling the basement of The Rio Cinema on the Kingsland High Street with 90s fun from 12th May - August! The Rio Cinema is an amazing Grade II listed independent Art Deco cinema in the Heart of Dalston. When growing up, Little Nan used to travel through ‘The Pipe’ (Black wall tunnel) from her home in Deptford and used to sell ice-cream and sweets at the Rio Cinema on Wednesday & Saturday nights. She often spoke about the parties she attended in the basement back in the 1930’s! Little Nan’s Rio Bar will be open every Tuesday - Saturday 5pm - 12am (2am on Saturdays) till August with 2 hour sittings starting every hour. Also available for private hires! Along with an extensive cocktail menu there will also be a selection of Wines, Prosecco, Spirits and mixers, Candy Vodka Shots, Beers & Cider available, plus fresh Popcorn and savoury snacks are included in the unlimited pic n mix stand. Some of Little Nan's tables are communal so smaller groups maybe seated with another group. Friends are made whilst round Little Nan’s! Book in and pay as you go from the menu OR Book in for 2 hours of Bottomless Teapot Cocktails, Beers, Ciders, Wine, Prosecco, and unlimited Cinema style Pic n Mix and Popcorn for £39 per person. All to the backdrop of film memorabilia and 90s anthems!"